A talented young defense and an expensive new quarterback have the Vikings primed for a possible Super Bowl season. Who has to live up to their paychecks for the team to reach the big game? Kirk Cousins has continually said, since signing a record-setting deal with the Vikings fully guaranteeing him $84 million, that he’ll take expectations one day at a time. Such banalities of sports are often overworked, but in Cousins’ case imagining the full scope of expectations could be daunting. The Vikings’ Super Bowl window is open now with a young, reigning No. 1 defense nearly returning in full and the final, evasive piece, Cousins, in place. So begins our list of Vikings who need to live up to their 2018 salaries. The deal: Cousins’ run as the league’s highest-paid quarterback lasted seven weeks before Matt Ryan inked his mega deal for $30 million per season. 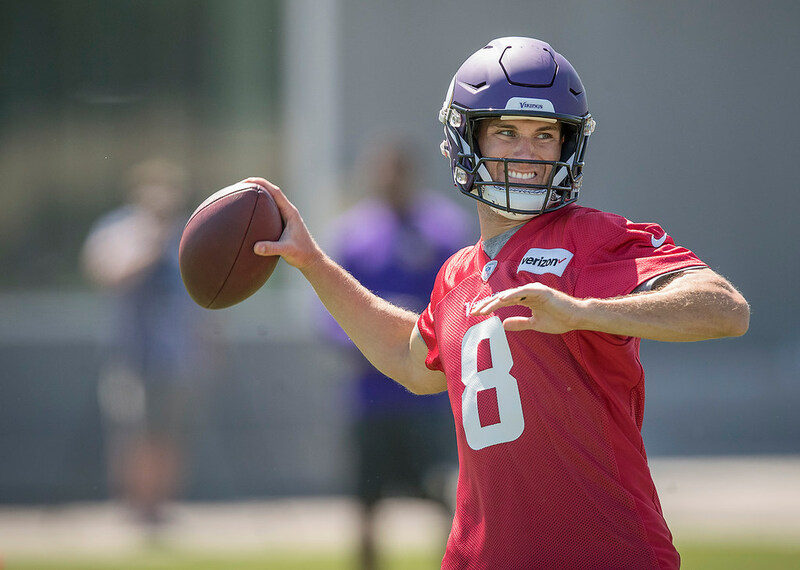 While Ryan is trying to get the Falcons back to the Super Bowl, Cousins is tasked with making his first appearance the Vikings’ first since Jan. 9, 1977. There are few excuses around one of the league’s best supporting casts. The deal: Barr is likely seeking in the $10-$12 million per year range on a new contract that has been discussed this summer. That’s what he’s making on his fifth-year option in 2018 and, in the long-term, would put him in line with the league’s best in Jamie Collins, Telvin Smith and Lavonte David. But will the Vikings go that high? If a deal isn’t reached, Barr could force their hand by playing lights out this season. The deal: Case Keenum was the third-most pressured (39.3%) quarterback last season despite the Vikings fielding a 10th-ranked scoring offense. There’s room for improvement. It starts with the group’s leader in Reiff, who had a solid start in Minnesota but it tailed off in the second half of the season. The deal: Richardson was, statistically according to PFF, one of the most disruptive defensive tackles in football last season. Yet his free-agent market wasn’t as robust, perhaps because the Jets were willing to trade him Sept. 1 last year to Seattle. Richardson’s success with the Seahawks was a testament to how quickly he transitioned from end to tackle. The Vikings need better pass rush up the middle, so enter Richardson — a type of unknown Minnesota rarely takes on as a free-agent risk. The deal: Rudolph’s contract year in 2019 is upcoming. He turns 29 in November and has plenty of reasons to succeed. That includes a supposedly tight-end friendly offense under John DeFilippo and a strong-armed quarterback in Cousins. The Vikings were one of the most successful red-zone offenses in 2017 because of how they involved Rudolph. That needs to continue this season. DeFilippo’s contract expired with the Eagles after two seasons, which is typically the length the Vikings give their assistants per deal, before he became a coordinator for the second time. However, this isn’t Cleveland. The Vikings present DeFilippo with both a great setup and big shoes to fill after Pat Shurmur was named Assistant Coach of the Year in 2017. The deal: Hunter has 26.5 sacks in three NFL seasons, so he far outperformed his rookie contract. But expectations heighten after signing a five-year, $72 million extension last month. On the books, the deal really begins in 2019. He’s still pocketing about $16 million this year while in line to take another step forward toward becoming a premiere defensive end.